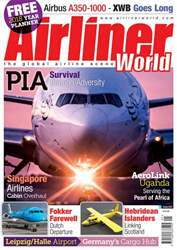 In the January issue of Airliner World, we bid farewell to KLM’s Fokkers, ending a 97-year association between the Dutch flag carrier and the manufacturer, we examine how a partial privatisation could offer Pakistan International Airlines renewed hope for its future, and we go behind the scenes with launch customer Qatar Airways as it prepares to take delivery of its first Airbus A350-1000. Elsewhere in this edition, we find out Hebridean Air Services has forged a unique and highly valued link with the remote island communities it serves, we find out how Leipzig/Halle has transformed from sleepy backwater to major European cargo hub, and we hear how AeroLink Uganda is playing a quirky but important role in connecting its home market. We also shine the spotlight on Singapore Airlines’ new A380 cabin, and we bring you a selection of photos from NBAA 2017 and from Orly, Paris’ second airport. 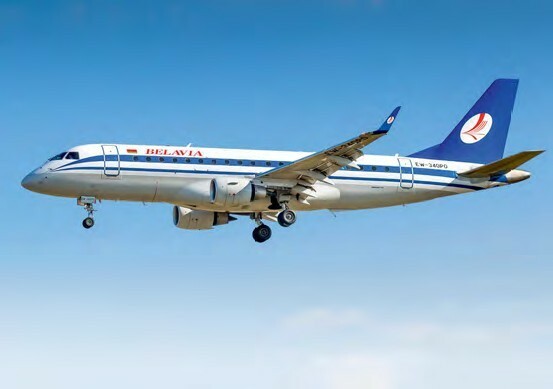 Lastly, we bring you our comprehensive coverage of worldwide news, including a full round-up from the Dubai Airshow, plus Embraer eyes an April debut for the E-Jet E2, ATR wins a major order from FedEx, Emirates takes delivery of its 100th Airbus A380, and Boeing delivers the first 737 MAX to China. We also have all our regular sections covering the latest commercial aircraft acquisitions, up-to-date accident reports and developments from the world of aviation training and MROs.